like my dreams of you. At Jason Ree we believe in making love, not war. 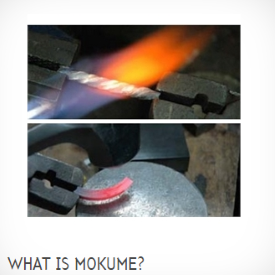 Which is why we've chosen a Japanese love haiku to illustrate the unique and exceptional substance that is Mokume Gane. Developed in Japan in the late 1600's, the technique was created to make parts of the handle for the samurai's sword. 'Mokume' translates from Japanese to "wood eye" which refers to the Burl type of wood grain and Gane means "Metal". The beautiful patterns would reflect similar patterns in the sword blade and the quality and amount of decoration of the swords handle was an indicator of ones social status and wealth. 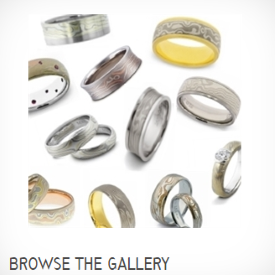 Jason Ree is one of the few jewellers in Australia who can do this highly labour intensive process. It involves clamping around 10-30 layers of metals between steel blocks and heating the resulting stack in a kiln allowing the layers to fuse but not to melt. The resulting stack of platinum, gold, palladium and silver is then forged and rolled to reduce it’s thickness. 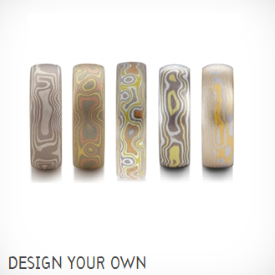 The finished result is a unique pattern of precious metals merged together creating a topographical map. No wonder we have seen it's popularity for jewellery, especially wedding bands, gaining momentum over the last few years, as it beautifully symbolises the entwined love of two people. Mokume Gane might be made for a warrior. but isn't true love always worth fighting for?